Terri Hollingsworth was elected on November 6, 2018, to a four-year term as the Circuit and County Clerk of Pulaski County. 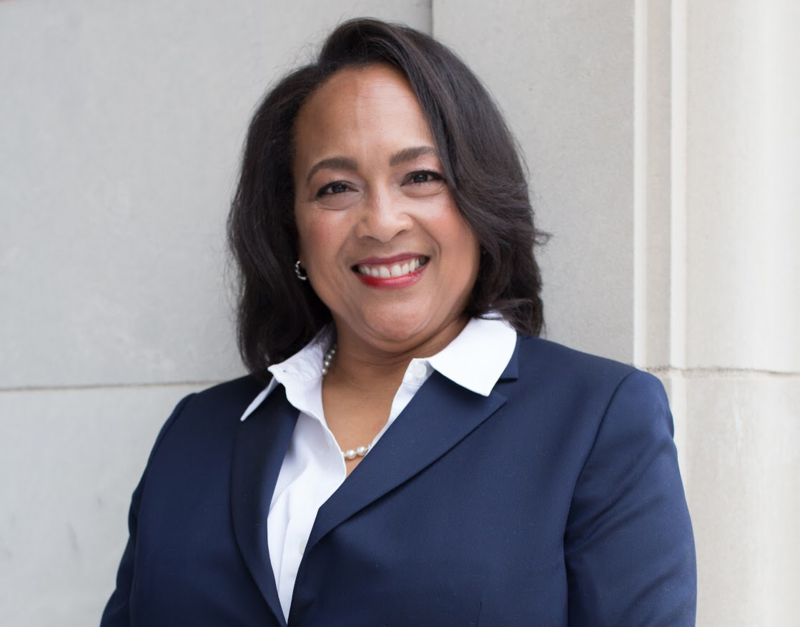 Sworn in on January 1, 2019, Ms. Hollingsworth is the first African American woman elected to a Pulaski County-wide executive position. Each year the clerk’s office touches the lives of thousands of Arkansans and businesses. From marriage licenses to voter registration, the responsibilities of the clerk’s office are vast and varied. Pulaski County is one of 18 counties in Arkansas that combines the two positions. The clerk is the voter registrar and real estate recorder for the county. The Pulaski County Clerk’s office provides administrative and record-keeping support to the 17 Circuit Court judges of the Sixth Judicial District. The office also works closely with attorneys and title companies to record and index all land transactions conducted in the county. The office, located in the Pulaski County Courthouse in downtown Little Rock, has nearly 100 employees in ten departments - administration, accounting, central receiving, court clerks, imaging, information technology, juvenile, real estate, records, and voter registration. Ms. Hollingsworth is a member of Jack and Jill of America, Inc., Links, Inc., Delta Sigma Theta Sorority, Inc, and is on the board of Audubon Arkansas. A graduate of Howard University in Washington D.C., she earned a Master of Business Administration from the University of Arkansas at Little Rock. Ms. Hollingsworth, 54, and her son, Joshua Davis, 16, are natives of Little Rock and attend St. John Missionary Baptist Church.